ROTHCO see the ex-premier league managers settle a 20-year rivalry between two Gaelic football clubs with an infamous past for Allied Irish Banks. In 2017, 10 million viewers tuned in to watch the 8-part online series documenting Premier League football commentators Jeff Stelling and Chris Kamara, as they took the journey to Croker to commentate on the All-Ireland AIB Club Championship Semi-Final. In continued support of AIB’s sponsorship of the Gaelic Athletics Association (GAA) Senior Football Championship, the brand’s hit entertainment series, devised by creative agency ROTHCO, part of Accenture Interactive, returns for 2018. 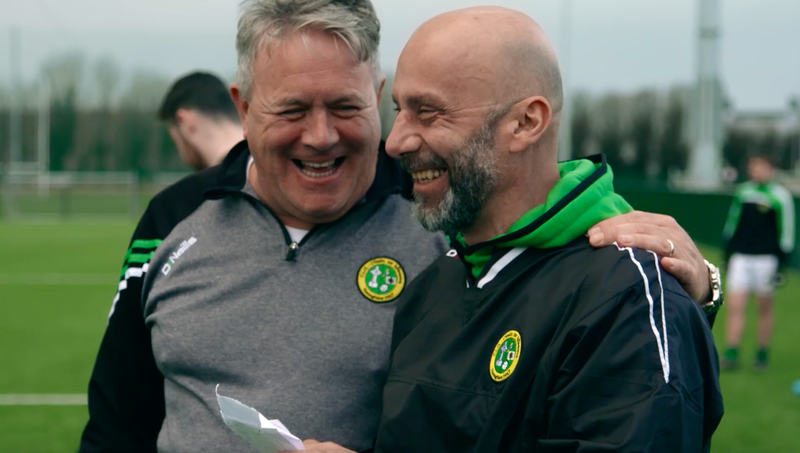 This year AIB are challenging ex-Premier league managers Harry Redknapp and Gianluca Vialli to settle a 20-year rivalry between two GAA clubs - Castlehaven (Cork) and Erins Isle (Dublin). The eight-episode series ‘The Toughest Rivalry’ will see Vialli, who won Serie A and the Champions League with Juventus and later managed Chelsea Football Club, take the reins of Erin’s Isle of Finglas. Redknapp, former Tottenham, West Ham and Portsmouth manager, has agreed to take hold of West Cork side Castlehaven. Both managers begin their journey with little to no knowledge of the GAA but have been tasked with getting their respective teams match-fit for a rematch of an infamous All-Ireland club semi-final from 1998. “To build on last year’s series we wanted to up the intensity. We decided to bring two professional, expert managers who have had a light-hearted rivalry and see what would happen when we immerse them in this world of deep-rooted rivalry. In our sports landscape, GAA is a challenger brand, dwarfed by global giants. Rather than be ashamed of its stature, GAA fans are never prouder than when the sport is pitted against its global competitors. This concept has been at the heart of AIB’s sponsorship since the beginning and we have worked together to create something aimed at sports fans, in general, as opposed to GAA fans.” Comments ROTHCO ECD, Alan Kelly. The first episode of the Toughest Rivalry will run online and on social media from Friday 13th July and, each week, the series will be supported by behind the scenes social content.